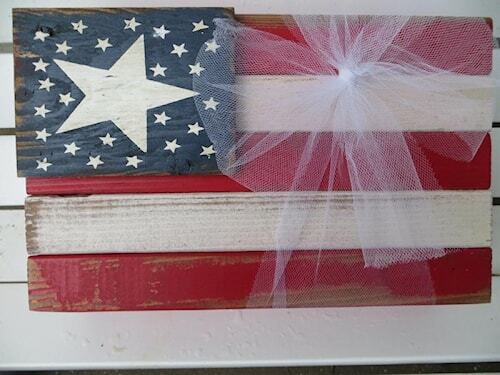 12 x 7 1/2" red, white and blue sign. . American Flag created out of alternating red and white planks of wood. Americana.